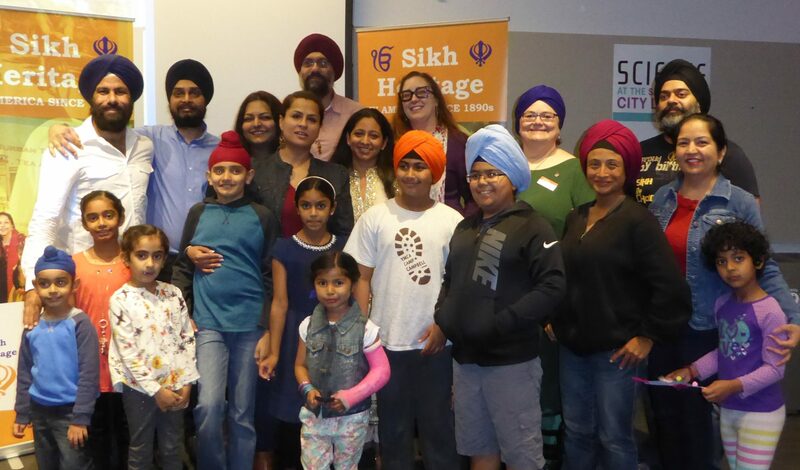 November is the 6th annual Sikh Awareness and Appreciation Month in California, home to the largest Sikh population in America. The nonprofit Joy of Sewa and the Sikh community in and around Santa Clara has teamed up with the Santa Clara Cultural Commission (SCCC), City libraries and others to host fun, insightful and thought-provoking events this month. The events shine a light beyond the signature turbans worn by many Sikhs—to the Sikh religion, history and contributions to contemporary America. On Nov. 8, a New Jersey native of Indian-American ancestry, Ravinder Bhalla, became the first Sikh mayor ever elected in New Jersey. Santa Clarans of diverse backgrounds and faiths are invited to meet Sikhs and learn about their faith and culture at local events. On Nov. 11, a reception and film viewing was held at Northside Library of the 15-minute, 2015 documentary “The Odd Couple: A Story of Two Triathletes” by director and producer Harleen Singh (www.kaurfilms.com). One triathlete is an amputee, the other a Sikh. Despite their differences, they bond through the shared challenge of becoming triathletes. A trailer was shown for Singh’s most recent documentary project, “Drawn Together, Comics, Diversity and Stereotypes,” to be released in 2018. The documentary showcases three cartoon artists: Sikh Vishavjit Singh (www.sikhtoons.com); African-American Keith Knight (www.knightlifecomic.com) and Eileen Kaur Alden, an American woman who became a Sikh (www.supersikhcomics.com). The cartoonists fight race, gender and religion stereotyping through their comic books and cartoons. Alden, an Oakland resident, and Singh, a Sunnyvale resident born in India, attended the viewing and discussed their art. But sometimes, it is about the turbans. The reception included the opportunity for non-Sikhs to wear a colorful turban and check that experience off their bucket list. A photo booth was set up to record their new but fleeting look. View a video of the Question and Answer period with Alden, Singh and Bhatia as emcee on the Northside Santa Clara Library Facebook page. On Nov. 18, 11:45 a.m. to 1 p.m., Central Park Library is the venue for a pizza party and enactment of the book “Enchanted Garden of Talwandi” by Bay Area author Jesse Kaur. Pizza, children’s crafts and turban tying begin at 11:45, followed by the enactment. Visit www.sikhcoalition.org for information about Sikhs and their religion.